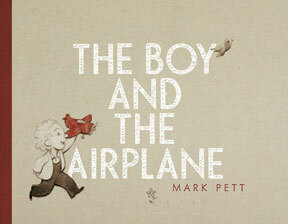 What happens when a writer learns that he doesn’t quite have as much control over his book as he thinks? 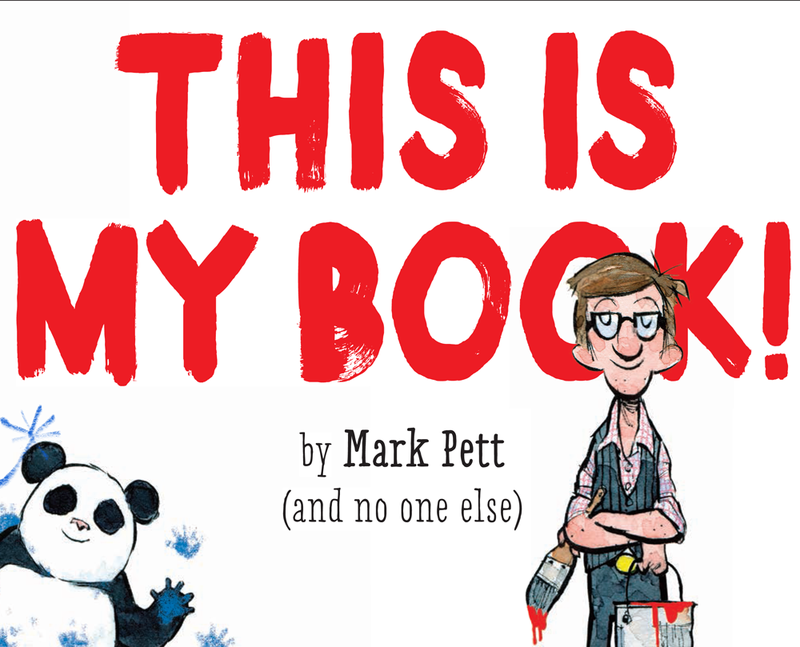 When Mark Pett’s characters, led by a panda bear named Spike, take over his book and begin telling a story of their own, pandemonium ensues! Who’s really in charge of this book? With clever interactive elements, including a pull tab, flap, and pop-up, This Is My Book is sure to appeal to a large and varied audience—kids who will identify with the “my” aspect of the book and adults who will appreciate the humor. 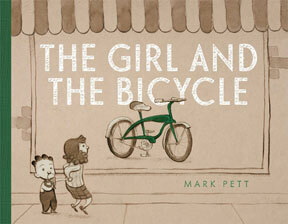 From the creator of The Boy and the Airplane, a touching wordless picture book about a little girl, a shiny bicycle, and the meaning of persistence—with an unexpected payoff. * High turnover: Two Lucky Cow employees argue over who has seniority; the one who was hired at 9:30 that morning eventually wins. * Uniformity: A Lucky Cow employee boasts that a customer can visit any of the restaurant’s franchises and they are all the same–right down to the lackluster customer service. * Cleanliness (or lack of it): People’s shoes adhere to the sticky floors, and an employee’s skin absorbs so much of the restaurant’s grease that water rolls right off it. 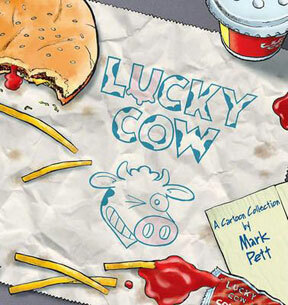 To help ensure that Lucky Cow would feel authentic, cartoonist Mark Pett worked at McDonald’s for a month, experiencing fast-food “culture” for himself and interviewing his coworkers about their lives in the business. So it really is “funny because it’s true. 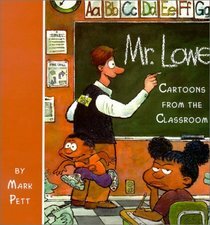 Mr. Lowe is a delightful collection of cartoons about the life of a classroom teacher! When it comes to teaching, Mr. Lowe just about covers it. 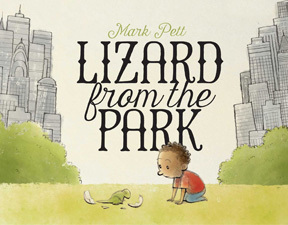 Cartoonist Mark Pett pokes fun at nearly every aspect of life in the classroom, using characters like the incorrigible student Quentin, the principal Ms. Stickler, and, of course, new teacher Mr. Lowe himself. 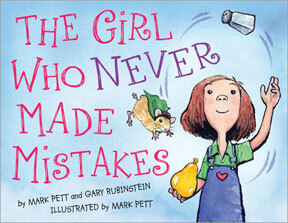 These cartoons ring true and will bring a smile to the face of anyone who has ever spent time teaching young people.